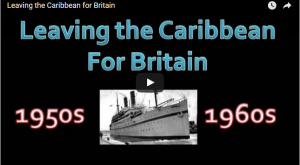 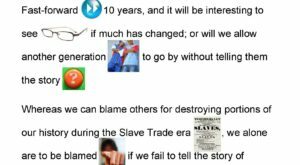 Following WW11, the British government encouraged mass immigration from the countries of the British Empire and Commonwealth to help re-build Britain. 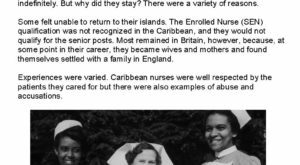 Many Caribbean women came to build Bevan’s National Health Service, which was suffering a staffing crisis. 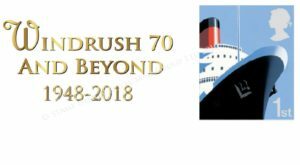 The Empire Windrush landed at the port of Tilbury and its passengers came ashore on 22 June 1948. 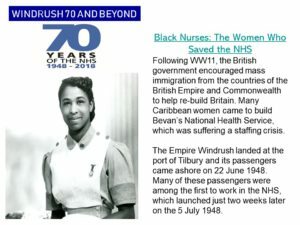 Many of these passengers were among the first to work in the NHS, which launched just two weeks later on the 5 July 1948.